Swooshing mouthwash around your mouth can definitely make you feel much more refreshed. It also removes bacteria, which improves your dental hygiene. 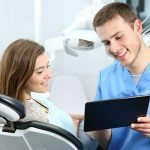 However, using a mouthwash with alcohol can make your mouth dry, and it burns.Those two reasons are why many people prefer an alcohol-free mouthwash. Choosing the best nonalcoholic mouthwash is difficult. There are hundreds of different options to choose from on Amazon. This article will cover the five best options of 2018. First, this mouthwash comes from Listerine – a mouthwash brand you can trust. This is our top pick for more than just that though. This is one liter of mouthwash, which means that it will last about a month. Next, the cool mint flavor really enhances your breath. Normally, you find mouthwash will enhancebreath, but sometimes the flavor is not good. 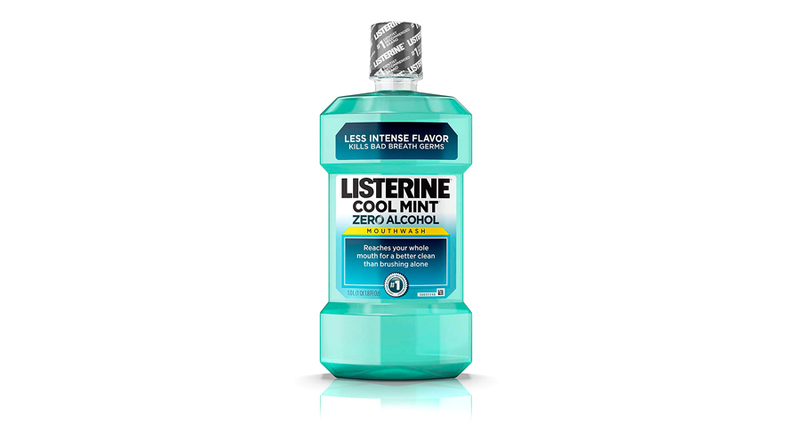 Listerine uses cool mint flavor, so you do not have to worry about it tasting medicinal. Finally, and most importantly, this mouthwash will eliminate plaque and can help prevent gingivitis and gum disease.You can expect the protection to last up to 24 hours. However, you should still use it every 12 hours for maximum effectiveness. Overall, we highly recommend this particular brand of mouthwash. It is also available at a great price. 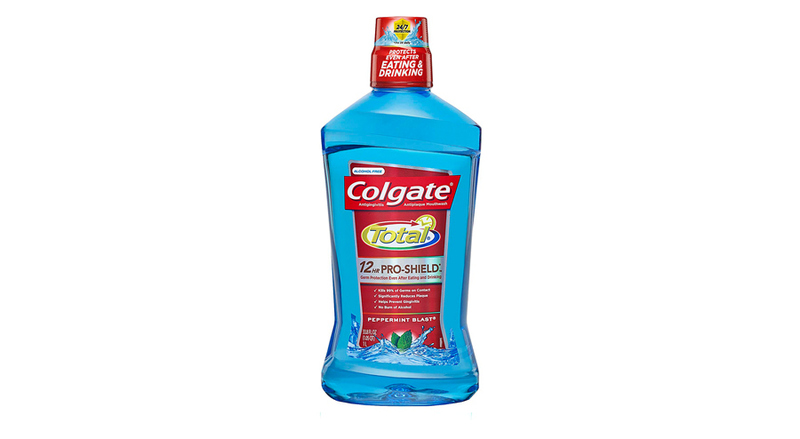 Runner-up on our list is Colgate Total Pro-Shield mouthwash. This is another one-liter container of alcohol-freemouthwash,and it has a pleasant peppermint flavor. Additionally, it can remove 99.9% of germs found in that mouth. The effects of this mouthwash will last 12 hours per use, which is less than the Listerine mouthwash. However, this is still enough time to make it effective, so you should use it in the morning and in the evening. Sometimes you want to purchase mouthwash in bulk. It is much easier than purchasing individual units,and you often get a discount. Unfortunately, it can be difficult to find a multipack of alcohol-free mouthwash. The Mountain Falls Alcohol-free mouthwash is about 3.7 liters of mouthwash. Each container is 32 ounces (a little less than one liter), so it is still easy to store in your bathroom cabinet. We like this for more than just the bulk amount and pricing though. The flavor is excellent and tastes just like the name brand but at a significantly lower price. Mountain Falls does not add any blue or reddye to the mouthwash either, so it is clear. The container that the mouthwash is stored in is also sturdier than most of the competition. This might be a small point, but this is an important factor when pouring the mouthwash into the cap cup. 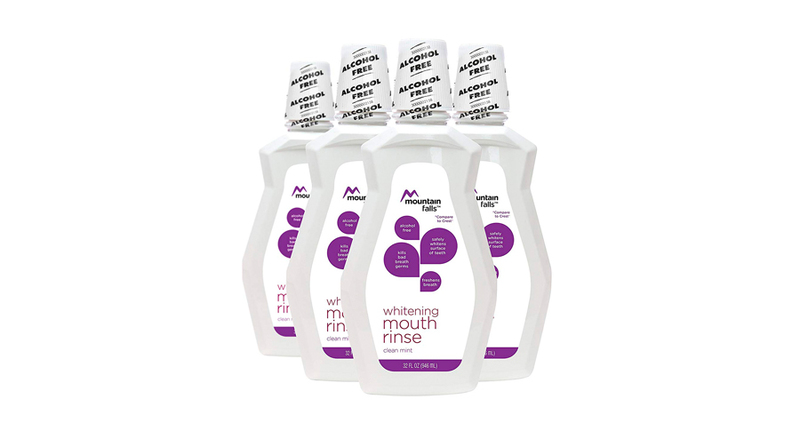 Overall, we recommend this mouthwash for those looking to purchase a bulk amount of mouthwash. You save money and time by purchasing in bulk. It also guarantees that you will never run out of mouthwash. If you need alcohol-free mouthwash, then you might want to purchase mouthwash that has no flavor. Some people find the flavor irritating,or they do not want to stain their teeth blue. No matter your reason; the unflavored mouthwash by CloSYS is the best choice. It is a 32-ounce container, which is about one liter. It will not irritate your mouth. A non-irritatingmouthwash is important if you have canker sores on your mouth. Additionally, this particular mouthwash was designed with a pH level that reduces the growth of bacteria in the mouth. Now, a big concern with unflavored mouthwash is that it does not make breath smell better; this is simply not true. Mint flavoring in mouthwash is not the reason that your breath smells better.The chlorine dioxide kills bacteria that makes breath smell bad. The one downside with CloSYS is that it is much more expensive than other brands of flavored mouthwash. However, for a person with a sensitive mouth, there is really no better option than unflavored mouthwash. 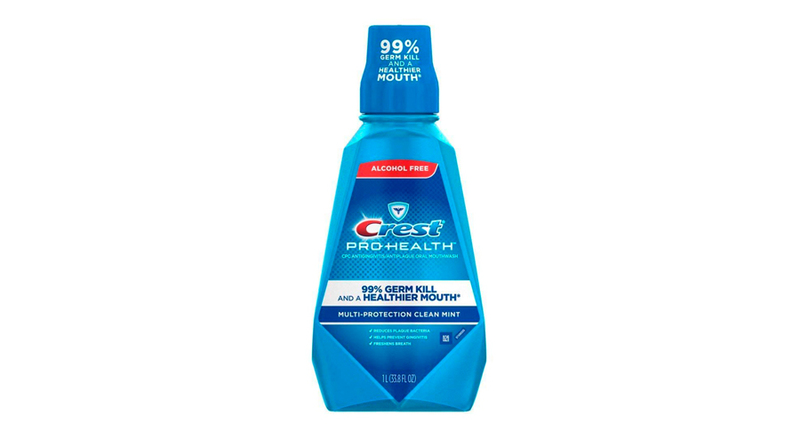 Next up on our list is the Crest Pro-Health Multi-Protection Mouthwash in clear mint flavor. Again, this comes in a one-liter container, so it should last about a month if you use it twice a day. 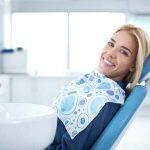 It has all the usual protections against gingivitis and plaque. You should use this mouthwash twice per day to ensure 24-hour protection. You also get even more protection when using this after brushing teeth. It really gets into the hard to reach places that your toothbrush may miss. The one major downside is that this mouthwash does not contain fluoride, which can really help with dental health. As for the taste, it does not have a taste that really surprises you. The taste has been described as mild and dull, which is great in a mouthwash. Some customers have reported that this mouthwash leaves an aftertaste, but that just depends on the person. Overall, we still recommend this mouthwash. Just know that it does not contain fluoride, which you might expect as it is more expensive than most other brands. However, some consumers prefer mouthwash that does not contain fluoride. All in all, if you are looking for an alcohol-free mouthwash, then the choices listed above will provide you with plenty of options. The best all-purpose alcohol-free mouthwash is the Listerine mint flavored one. However, the multi-pack by Mountain Falls makes an excellent choice if you want to purchase in bulk. 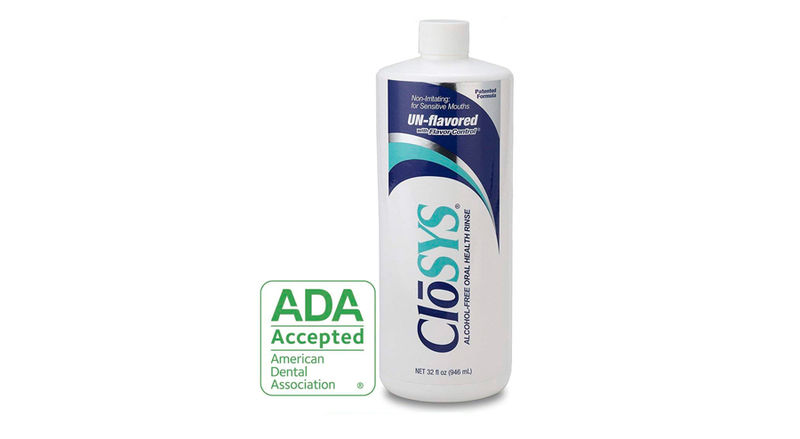 Finally, if you want mouthwash that has no added flavor, then the CloSYS flavorless mouthwash is the best choice. 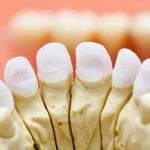 Now, you should always use mouthwash after brushing your teeth. 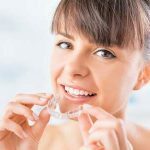 It makes your breath smell better,and it can provide some extra protection against cavities and plague.There really is not any reason to not use mouthwash with the many different options available on the market.